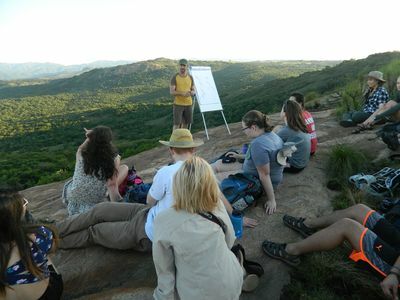 Laurence Kruger lectures my group and I on savanna ecology while enjoying a beautiful day in South Africa. Fowler, Kelly, "Lecture with a view" (2016). Study Abroad Photo Contest. 42.